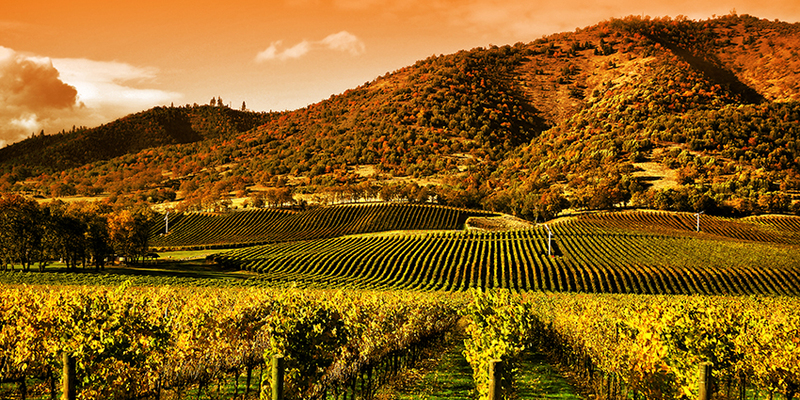 Napa Valley is a country located north of San Pablo in the northern portion of the US State of Carlifonia. Napa valley has many small communities, each with its own unique characteristics. It is well known as the center of wine production. It was Carlifonia’s first Ameriacan Viti Culture Area (AVA) established in 1881. With plenty of daytime sunshine and cool nights ,it’s the perfect weather for wine. Wine making history in Napa Valley began in 1838, when George Calvert Yount, founder of the town planted the first commercial vine yard. The good fortune of the climate that allows Napa Valley to grow grapes has also drawn many popular chefs to the Valley ( along with the Culinary Institute of America) making it one of the best places to eat. Two popular restaurant in Napa Valley, Thomas Keller’s The French Laundry and the restaurant at Meadwood have both been awarded three Micheline Stars. Surrounded by the Mayacama Mountains makes Napa Valley a good place for hiking, mountain biking and horseback riding. It is also a perfect place to get away from the hustle of the city from its combination of the Mediterranean climate. Easy going pace of wine tasting, leisurely meals and many more. The art sector of the Napa valley has also been growing over the years, drawn to the area by beautiful scenery, peace and quiet, making Napa Valley the home of numerous artists.